Synagogues need to allow – and even encourage – Jews to come in and worship at no cost, for at least one service. If we’re commanded “to love the stranger” (Deut. 10:19), why aren’t we also supposed to reach out to those who actually share our religion? I’d like the 614th mitzvah to be: Houses of worship should allow us to feel safe and welcome. 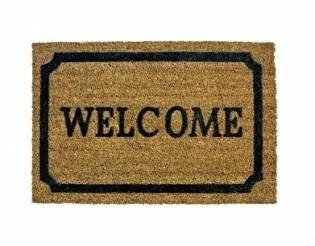 Too often, the “welcome” is only for paying members. After a traditional wedding ceremony, I left my home in New York City and headed south to start a life with my husband, a third-year medical student in Nashville. I packed up my belongings and left my family, along with all things familiar. I was 22 and had been hired as a high school teacher in a school near the medical center. Within walking distance from my job were two synagogues – one Orthodox and one Conservative. Since I was not a southerner, nor had I any family nearby, just seeing synagogues gave me a feeling of familiarity. Within those walls would be a community who wouldn’t care I was from the north, that I was struggling to live on a small salary as a couple, or anything external. I’d be looked upon as “one of them.” After classes, as the High Holidays were approaching, I went into the Orthodox synagogue and quietly asked if I could come for Yizkor. My 45-year-old father had died two years before my wedding, and it was important for me to say this prayer in shul. I already felt so isolated being many miles from home, and I longed for the quiet comfort of a synagogue and its staff. The answer I received shocked me: “No.” Non-members couldn’t attend. I explained my financial status, where I was teaching, and my emotional need to perform this prayer within a synagogue. No. No. No. Fine, I would try the Conservative temple. I asked again. No. Tears stung my eyes when I was told that no exceptions could be made for anyone. Paid members only. I scanned the symbols so universally familiar… eternal light, Torah scrolls hidden behind a case, yahrzeit plaques of tiny bronze names. I couldn’t believe my own people were turning me away. During my growing years, my dad had been president of our temple, and my mother was president of the Ladies’ Guild. Our traditional synagogue (Conservative because men and women could sit together, but Orthodox in all else) practiced philosophy, kindness, ritual with compassion, and outreach. I didn’t feel betrayed about the rejection in Nashville as much as confused. A shul was “home,” and as Robert Frost’s poem had said, “Home is the place where, when you go there, they have to take you in.” (I was teaching that poem in my class!) Even the poem took on a different meaning after the “no.” The phrase – “they have to take you in” ­– was suddenly seen as a business proposition; you had a home if you had money to contribute. The Reform shul was about a 30-minute drive away. My husband took me this time, so whatever the answer, I wouldn’t have to hear it alone. The staff welcomed me and offered itself for as long as we lived in the area. I felt pleased, but also bitter. How could the traditional Jews, who profess to attempt to follow all 613 mitzvot, be so insensitive to one of its own faith? How could the holy people in power not listen to the pleas of the troubled? How were their houses of worship different from a museum of artifacts that requires an admission fee to enter? How could they turn away from a young person in need of a place to quietly say an important prayer when she – me – was temporarily in that city and had a tiny income? I didn’t know the way a service was conducted in Reform temples, and I struggled to accept the organ and a choir rather than a male cantor; the experience felt awkward. Many men were not in skull-caps. But there were Torah scrolls, and yahrzeit plaques of tiny bronze names, and an eternal light; I focused on these familiar symbols and reminded myself that this place opened its arms and embraced me while the other synagogues would not let me in. After graduation, four years of medical residency, the mandatory two years of armed service for physicians, and with three children by then, our family settled in the western part of New York State and became dues-paying members of a Reform synagogue. Our sons became bar mitzvah; our daughter and also younger son were married there; and our in-town grandchildren became bar/bat mitzvah in that Reform shul. My more traditional upbringing is inside me, and the values and philosophy I learned from my parents and childhood shape my life. My ritual, however, is performed in a Reform setting, as I still remember the welcome I received decades earlier in Nashville. Yes, in many synagogues today, fees are adjusted to allow members a way to stay while going through financial difficulties. However, college students wanting to attend aren’t always given a free ticket to a High Holiday service. Young married couples in a city temporarily aren’t always allowed to attend synagogue events unless they’ve paid dues. This continues to confuse me. On the bright side, an article that appeared in the press during the recent High Holiday season outlined many new ways for Jews to feel welcome in their current communities (Rachel Zoll, “You’re Welcome! Once-A-Year Jews Find Wide Embrace,” Associated Press, Sep. 5, 2013). For instance, Birthright Israel, the nonprofit that offers young Jews free trips to Israel, has created an online map that guides young people to synagogues that offer free or open seats. There are now streaming services live via Internet so the non-affiliated can participate as well. I think this is wonderful. For me, however, I want to stand in shul and be among others standing to say Kaddish. I want to be with my people. If synagogues allowed people permission to worship at no cost, for at least one requested service, I do think men and women would actually be grateful and more inclined to join the congregation. Most new congregants realize that salaries, utilities, and maintenance bills must be paid, and the money comes from members. However, the outreach to provide a facility, ordained leaders, and place of comfort to newcomers might possibly touch one to join, if he or she stays in the same town. We ought to be building human relationships first and have the building fund be an offshoot of the initial positive experience. else to worship, are excluded from a Yahrzeit service. What a sad story you told about not being able to say kaddish for your father (z”l)! But for you it seems to have had a happy ending, and I’m glad for you that you found a way to continue your life as a Jewish person. If you ever find yourself in Oak Park, Michigan, please feel free to attend services (shacharit, mincha and ma’ariv on Shabbat, shacharit on Sunday) with my husband, David, and me at Congregation Or Chadash, a local Orthodox synagogue to which I proudly gave its name. (and we’d be happy to welcome you to our own home for Shabbat meals). There are no dues, no financial demands made of any kind. Our shul would never turn anyone away; even Chassidim show up on occasion. Anyone who wants to be a member has only to show up. Participation in terms of providing a summary of the Torah and/or the Haftarah, certain readings in the service (reading aloud the prayer for Israeli soldiers and the prayer for Medinat Yisrael), in Hebrew or English, and opening and closing the Ark, are available for men and women Our original rabbi, Eliezer Cohen, recently passed away. Although we miss him, and we realize things will never be the same, his son, also a rabbi (Azaryah Moshe Cohen), and another rabbi (Eliezer Finkelman) are “sharing the job” now, thank God. Both men are extremely intelligent, learned, and well-respected in the community, as well as being menschen, and the membership is growing, as I’m sure it will continue to do under their leadership.